Greece on Tuesday received a badly-needed slice of European Union loan support to help it meet an imminent debt deadline as it braced for new strikes against austerity measures this week. "The sum of 14.5 billion euros has been released by the European Commission," the finance ministry said in a statement. "These funds cover Greece's immediate and short-term loan requirements and obligations," the ministry said, adding that 10 eurozone members had contributed bilateral loans. The money from mainly Germany and France arrived just a day before Greece needs to pay nine billion euros on a maturing 10-year government bond. The funds are part of a 110-billion-euro bailout recently agreed with the EU and the International Monetary Fund in return for deep austerity cuts. "All (EU) states which had to mobilise so that Greece can meet its debt deadline on May 19 have met their obligations," French Finance Minister Christine Lagarde told a news conference in Brussels. But as the government got relief on the economic front, it suffered a humiliating blow with the resignation of secretary of state for tourism Angela Gerekou late Monday after a newspaper article revealed her husband's unpaid taxes. The finance ministry confirmed that Tolis Voskopoulos, a singing star of the 1970s and 1980s, owed 5.5 million euros (6.9 million dollars) in unpaid taxes and late payment fines. Prime Minister George Papandreou's Socialist government has ordered a major campaign against tax cheats as part of the new drive to put the public finances in order. "Typhoon Angela hits government," the pro-administration To Vima daily said Tuesday. Ta Nea, which also supports the ruling party, said the minister had been sacrificed "as a message" to other officials. Aside from a political embarrassment to Papandreou as he labours to enforce unpopular spending cuts, Gerekou's resignation also leaves the travel sector leaderless at the start of a tourism season which debt-hit Athens badly needs for revenue. The outgoing junior minister had been "an asset" to the sector, the head of the Greek chamber of hotels (XEE) told a news conference on Tuesday. XEE chairman George Tsakiris and other leading hoteliers called on the government to rapidly appoint a successor to Gerekou, warning of a 10 percent drop in tourist arrivals this year because of the debt crisis and unrest. They also noted that the greater Athens region -- which draws 15 percent of arrivals -- suffered 27,000 night cancellations after a violence-marred protest on May 5 when three people died in a firebombed bank. Greece is trying to rein in a public deficit of over 30 billion euros to keep a debt mountain of nearly 300 billion euros from a default that could cause a European crisis and even threaten the world economy. Athens will receive another nine billion euros in September, including 6.5 billion from eurozone members and 2.5 billion euros from the IMF. A third nine-billion-euro installment will be made in December, the finance ministry said, adding that a first review of Greece's austerity programme is due in the third quarter of 2010. To clinch the EU-IMF bailout which helps its economy stay afloat in a growing recession, the Greek government has had to enforce a barrage of deeply unpopular tax hikes and wage and pension cuts. The measures are opposed by unions which have called a wave of street protests and three general strikes in the last three months. Visitors and Greeks alike face fresh hardship as a new general strike against the austerity measures on Thursday will shut down state offices, public services, banks and confine ferries to port. "We are striking because we do not want to work for 40 years without rights, with hunger wages and leave the workforce at the age of 70 with a mendicant's pension of 300 euros (370 dollars)," said the Communist-affiliated All-Workers Militant Front (PAME) which has held several protests at top-line hotels. 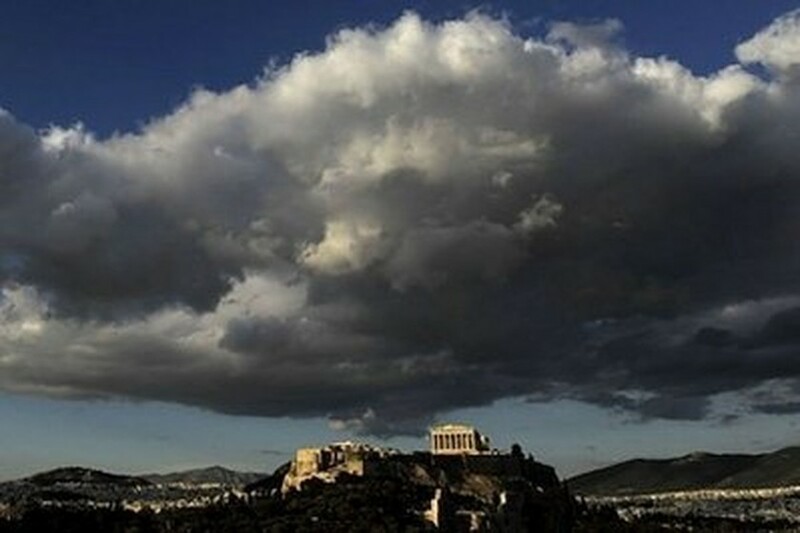 Fitch Ratings warned it might still cut Greece's credit rating to junk status even though Athens had secured a bailout from the EU and IMF because of the daunting task of getting its strained finances into shape. "The downside risks are high and Fitch has accordingly judged that negative outlooks on Greece's sovereign ratings remain appropriate," the agency said in a statement.